Are you tired of having limited control over what goes on the pages of your website? Do you ever find yourself needing to do something specific in the back end and not having the tools or permissions to do it? Is navigating each variable on the site a nightmare? If you’ve felt this way, you’re not alone. That’s one of the main reasons why many business owners choose a custom content management system (CMS). They want an interface that’s easy to use for everyone at their company. Everyone knows that having processes in place allows for task execution to be simpler. What if you could decide the workflows of your website based on your business needs? With a custom CMS interface, you have that ability. When you want to add or remove something from your CMS, all you have to do is call your developer. While a custom CMS is truly beneficial for most businesses, here are four businesses that can particularly benefit from the use of a custom CMS user interface. For larger e-commerce companies, there will most likely be multiple users that all have different tasks to fulfill depending on their role. A custom CMS user interface can easily facilitate specialized permissions for each individual or role type. Even the dashboards are customizable, so someone from finance can log in and see financial reports, and an order fulfillment manager can log in and see shipment notifications without either getting distracted by information not relevant to their role. Another great benefit of a custom interface is seamless integrations with third parties like Avalara or Shipwire through an API. Also, security can be more granular, allowing for limitations and permissions to function in your favor. Manhattan Cryobank, an NPG client, now has an e-commerce site that fits their specific workflows thanks to a custom interface. Their site also includes a custom database that is user-friendly on the back end. When more than one person must see a piece of content before it gets published, a need for automated workflows arises. 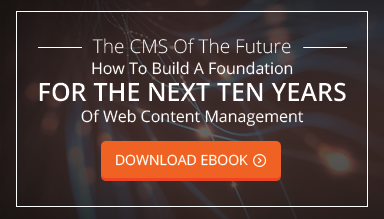 With a custom CMS, it can be as simple as creating a system that allows for a piece of content to flow from creation to editing to publication seamlessly so that everyone can touch it easily before it goes live. From the user interface perspective, the most amazing part of using a custom CMS is that it becomes not only a tool for your team but an extension of it that allows for powerful automation. When entering content into a CMS, different options like adding images, videos, previewing what the page will look like, and so on are extremely important. Whatever options you may need to publish your specific content can be designed and built just for you. Similar to e-commerce sites, online catalogs have a large database of items for browsing and viewing. Thinking about it from the user interface viewpoint, having a custom CMS makes it very easy to manage a catalog in terms of removing or adding items to the database. Additionally, writing product descriptions and adding images for each item in the database is seamless with a custom CMS. All of the fields needed to create your perfect catalog can be incorporated into the interface design. A client of ours, who sells furniture in their physical stores, wanted to set up an online catalog so their customers can also browse their stock online. NPG created a custom front end and a flexible back end to fulfill all of their online needs. The flexibility that a custom CMS provides is something we preach consistently because it really is one of the most beneficial features. One of the nice things about a custom interface when using a SAAS platform is the integration capability. All of the front-end and back-end features can and should match. You can remove anything that is no longer serving your workflows or add features as the need arises with no second thought. The ability to create custom fields on your platform and mold it to your daily activities isn’t something your team has to dream about anymore. It can be a simple reality that makes your employees’ lives easier because all of the tools are laid out in front of them. The common thread here with all of the businesses is the need for flexibility, streamlined workflows, and ease of use when working with the interface of their CMS. The list of benefits can continue, but the most important thing to take away is that being able to pick and choose exactly which features you need on your website will ultimately save time, create efficiency, and save you money in the long run.